The Arsenal-Delanne 10-C2 two-seat fighter designed by Maurice Delanne and built by the Arsenal de l'Aeronautique was of so-called Nenadovich biplane configuration, the tandem-mounted wings providing a continuous slot effect and offering exceptional CG travel. Of metal stressed-skin construction and powered by an 860hp Hispano-Suiza 12Ycrs 12-cylinder liquid-cooled engine, the Arsenal-Delanne 10-C2 prototype was virtually complete at Villacoublay when German forces occupied the factory in June 1940, work on the aircraft continuing in a desultory fashion and the first flight test being made in October 1941. After completion of the initial test programme, the aircraft was ferried to Germany for further trials. The intended armament comprised an engine-mounted 20mm Hispano-Suiza cannon, two wing-mounted 7.5mm MAC 1934 machine guns and two further 7.5mm weapons on a flexible mounting. There was a somewhat protracted delay with tax-ing tests before the first flight. Subsequently, there were some 15 subsequent flights ex Villacoublay which gave a flight time of six hours. 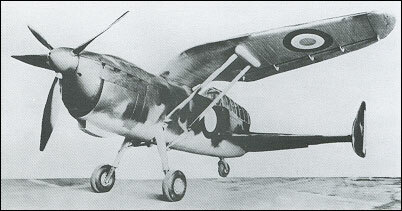 In July 1943 the aircraft was ferried to DFS by the Germans, where it was registered D-AXWP and under one Felix Kracht it underwent further tests, after which it's fate was not recorded. 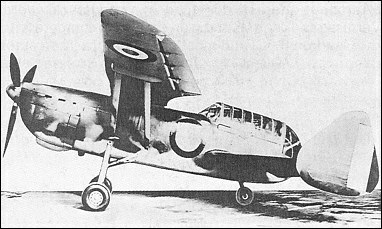 Yet another highly-promising, and truly fascinating, "might-have'been" French combat aircraft that came too late to forestall the disastrous events of 1940. Although the two-seat fighter concept was really obsolete by that time, this aircraft might still have proved useful in other roles. Just received this model from Master X in resin. Can hardly wait to build it, the mouldings are very crisp and detailed. Actual aircraft unusual and interesting. Scroll down to Scale Rubber FF. I am researching this aircraft in the hopes of building a Remote Control scale version. Do you have any additional technical information? Technical drawings etc?? ?